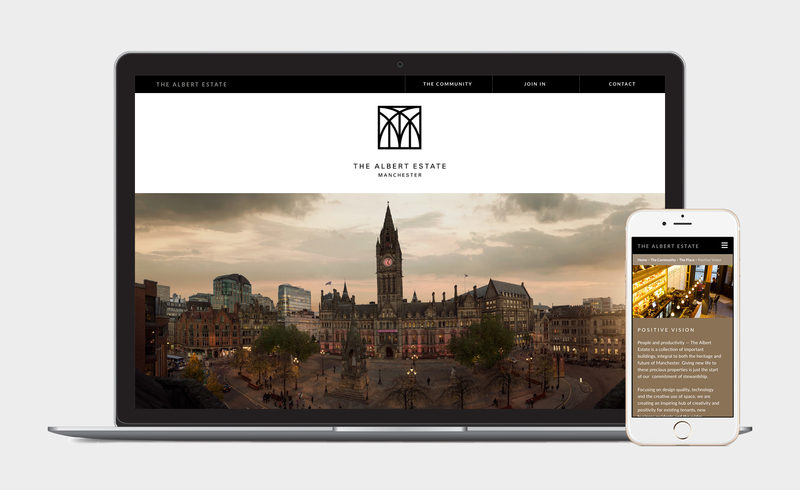 Following the acquisition of four prominent properties situated at Albert Square in Manchester, LJ Group required an holistic identity to tie them all together under a single brand. 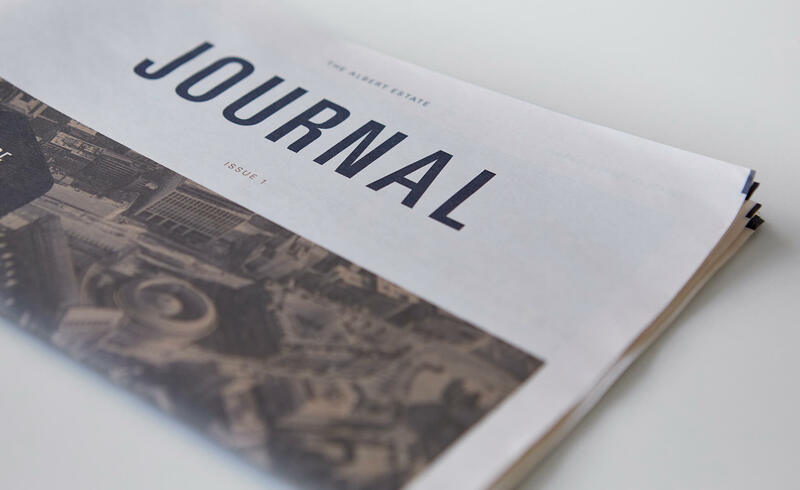 The new brand needed to align itself to the exciting new vision the LJ Group has for the buildings and the wider estate. We created a modern mark with classic design influences. This juxtaposition between new and old is reflective of the regeneration LJ Group plan for each building. ‘The Albert Estate’ is the name we have adopted. Aligning this to places such as The Portman Estate, Grosvenor Estate, Cadogan Estate and Crown Estate meaning we are not restricted to the estate growing beyond the initial 4 buildings and immediacy of Albert Square. Thus enabling the brand building and brand reputation undertaken now to be an umbrella proposition for further acquisitions. Our mark is based on the perfect geometry of arches. The overlapping lines create an intricate and intriguing pattern. The logo is a large ‘A’ for ‘Albert’ within this pattern. 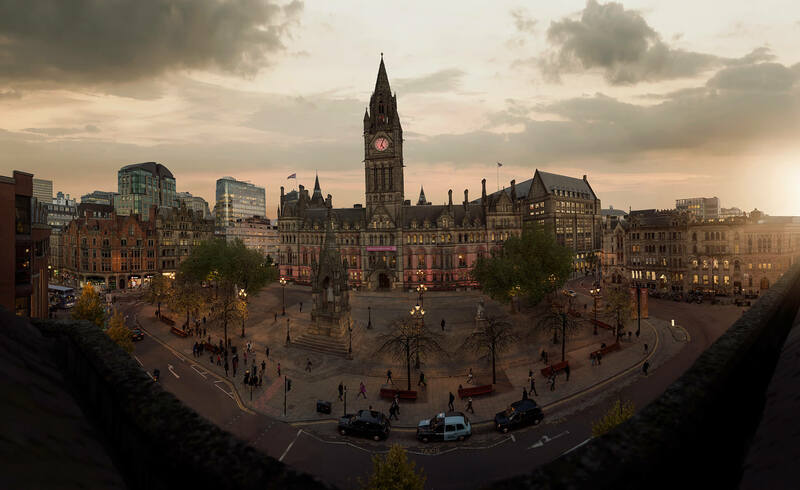 It is all housed within a square—an obvious reflection of Albert Square. We have given each building it’s own identity which is derived from the parent brand. The marks are reflective of their names; Northern Assurance resembles an ‘N’, Victoria a ‘V’, Mount St. an ‘M’, St. Andrew’s an ‘A’ and 1 Central contains a ‘1’ and a ‘C’. 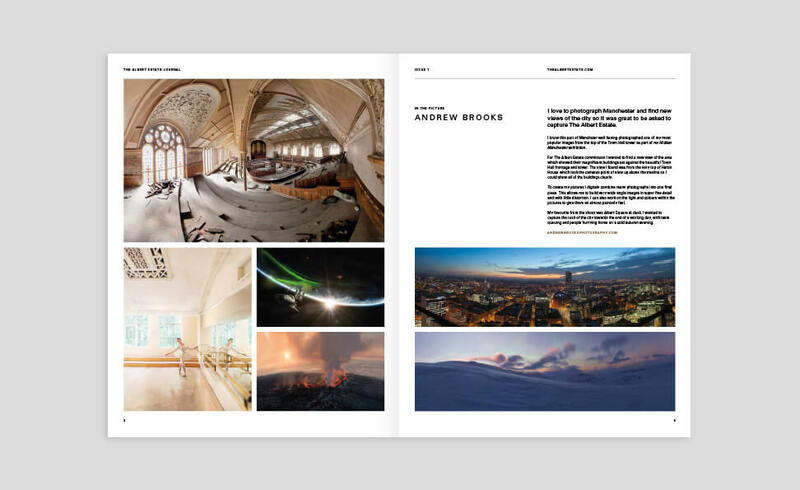 Once the brand and building identities were created we set up creating the marketing collateral, the first channel being an all encompassing and ever evolving web site. 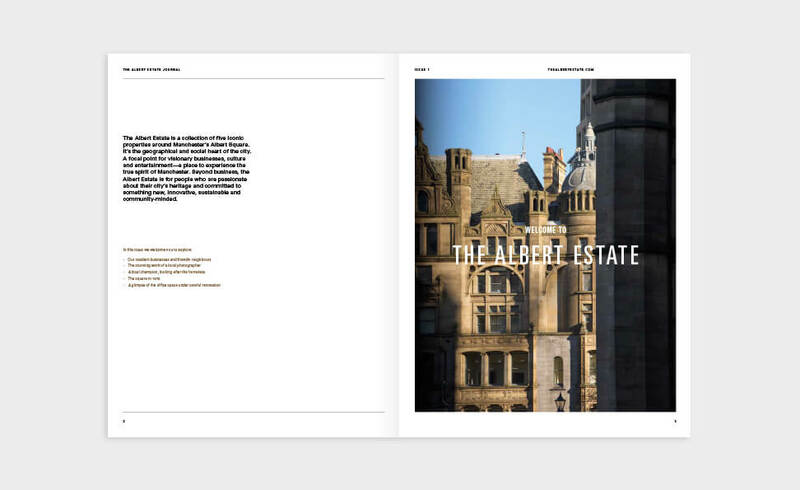 Also a dedicated Albert Estate newspaper, The Journal, that tells of the space available but that also promotes business and activity in and around The Albert Estate – creating a true sense of place and a desired destination for businesses and visitors.